Hullo PCGN, you’re looking kind of funny this evening. Sorry for the earlier server problems, a rat god swarmed over our server and ate the soul of the poor chap who was going to be sacrificed to the great machine. We had to ship in a few more interns, always takes a bit of paper work. 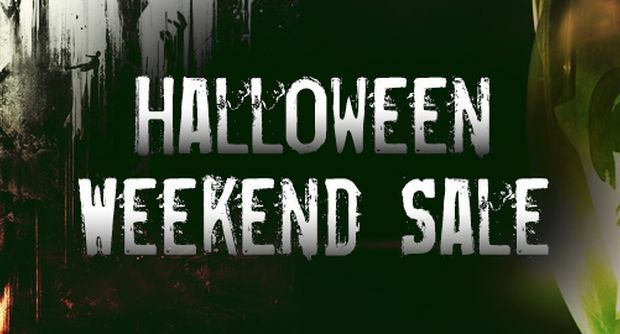 It’s a bit of a special one this week, not least because your favourite person (that’s me) is back to write it, but also the SPOOKIEST WEEKEND OF THE YEAR is go, so every site is having a big ol’ sale. Rather than select just a few, I’ve ran through Steam, GOG, GMG and Humble for everything I think is worth owning and playing, with a quick summary of why. Let’s go! Many of these games are some of the best of all time. Here’s the best of the year, anyway. The Binding Of Isaac: Rebirth – £6.59 / $8.99 / €8.99 – With an expansion released literally today, there’s never been a better time to get into one of the best roguelikes ever made. Watch out for the piss. 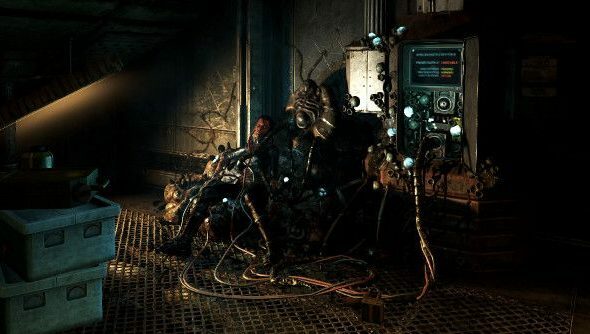 SOMA –£19.54 / $25.49 / €23.79– One of the cheaper prices this has gotten to since its recent release, Amnesia developers Frictional Games’ follow-up is a creeping body-horror about cybernetic life. Here’s how it was made. Dead Space 1 & 2–£4.99 / $8.74 / €4.99– A pair of personal favourites, if you like your horror full on and face first, with a bit of creep mixed in they’re exactly what you’re after. I also quite like the tie-in novel Martyr, but don’t recommend reading it with a headache. Crypt of the Necrodancer–£5.49 / $7.49 / €7.49– One of the loveliest ideas in gaming and an Early Access success story, this is the cheapest prices I’ve seen for the musical move-to-the-beat roguelike. DMC: Devil May Cry –£7.19 / $8.99 / €8.99– Vastly unappreciated reboot of the series that sadly doesn’t seem to have done well enough for a follow-up. Great hack’n’slashing with some of the best level design in games. Middle-Earth: Shadow of Mordor–£10.19 / $16.99 / €16.99– Surprise game of the year 2014 candidate – not that it was anywhere close to as good a year as 2015 or 2016 is shaping up to be – Shadow of Mordor has the best orc-killing ever put to megabyte. STASIS–£11.49– An excellent, terrifying and creepy body-horror isometric adventure game where everything is lethal and even the station you’re on itself is fighting against you. It’s the first sale for this since it got its release. Outlast + Whistleblower DLC–£4.78– Another personal favourite as not only one of the first games I professionally reviewed, but in my mind the epitome of jump-scare, story-driven play, at least until Freddy came along. I never played the DLC but it was the same team, so have confidence it’s worth another couple of quid. Lone Survivor–£6.38– This has been a lot cheaper previously, but once we’re into under a tenner it’s all a bit of a wash anyway. The closest I’ve seen anything get to a 2D game of the quality and creepiness that the good entries in Silent Hill’s long-running franchise manage. Alan Wake–£4.99– Alan Wake is … very strange. But it did prove to gather a fanbase with its TV-episode stylings and torchlight weapons. Plus it’s in all our contracts to big up Alan Wake cause it has a writer in it. I don’t make the rules, I just follow them. 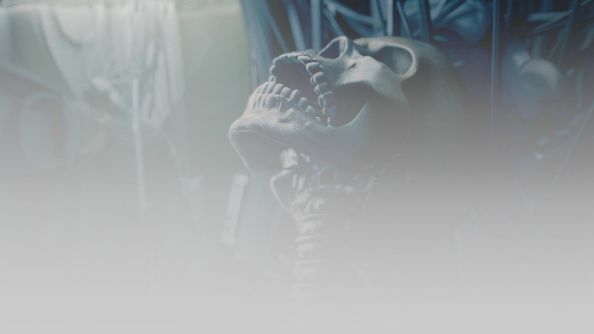 Teleglitch: Die More Edition–£1.79– Managing to cross the barrier between 2D roguelike and seriously creepy horror game, Teleglitch is the cheapest games here, but also the one you might get the most out of if it grooves with you. Wolfenstein: The New Order–£11.89– One of the best single-player FPSs of recent years and an incredible triumph when it comes to reviving a long-dead IP, Wolfenstein surprised everyone by being, y’know, actually good. The lesser but still alright follow-up, The Old Blood, is also available. Doom 3: BFG Edition–£9.99– Another personal favourite, though I haven’t actually played this remade and up-rezzed version or its additional levels. Unfairly lambasted, it’s to be immediately forgotten upon Doom’s release next year, I suspect. F.E.A.R. Series– £7.47– Though maybe not the third one. 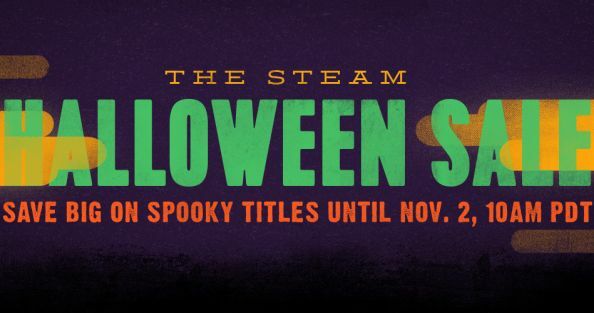 Excellent shooters with alternately creepy and purely terrifying horror moments. The slow-mo and first-person combat still holds up today. System Shock 2 –£1.39– What else to end on? 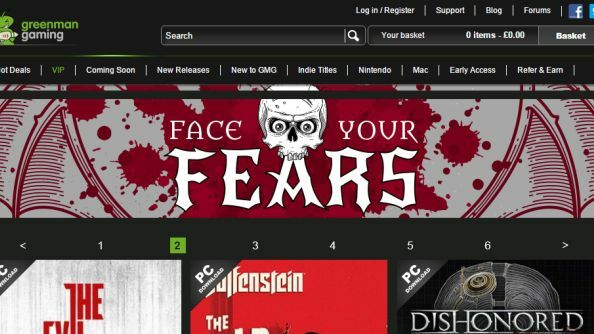 A simply legendary horror game, with one of the scariest moments of all time when the true threat is revealed. Sound work in particularly push it over the top. Phew. Hope you found something you wanted in all that. Until next time, stay layered.